What Is Purchasing Power Parity & How Does it Impact Exchange Rates? What Is Purchasing Power Parity? The International Comparison Program makes determining purchasing power parity its business. The organization, established in 1968, strives to generate accurate purchasing power parities through a global survey that looks at the cost of numerous goods. Economists across the world look at this data when determining how the international economy is performing. To calculate purchasing power parity, you’ll first need to gather the cost of a particular good between one currency and another. 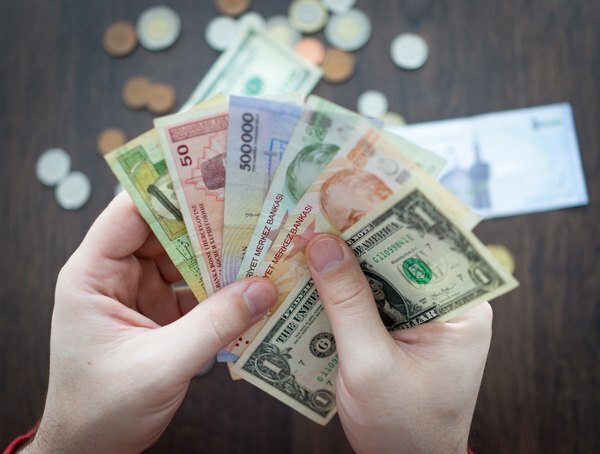 But exchange rates apply to every purchase you make in another country, as you likely already know, so you’ll need to know the exchange rate for each of the currencies you’re comparing. If the exchange rate in Canada is 1.327, that means something that costs $1 USD will cost 1.327 Canadian dollars. Once you’ve determined the PPP exchange rate, you can perform your calculation. The formula you’ll use is: S=P1/P2, with S representing the exchange rate, P1 representing the good in the first currency and P2 representing that same item in the second currency. The more equal two currencies are at the end of this calculation, the closer they are to achieving purchasing power parity. Another popular concept when it comes to purchasing power between countries is currency buying power, also known as purchasing power. Purchasing power is simply a term used to describe the concept of “how much your money can buy” in a country. Elements like inflation can reduce how far your dollar will stretch from one year to the next. One great way to break down purchasing power is to look at what your salary today would buy as compared to what it would have bought in a past decade. The median price for a house was only $7,354 in 1950, for instance, while today’s median price is closer to $240,000. But in 1950, the average salary was only $3,300. One reason purchasing power parity is so important is its influence on exchange rates. As with the U.S., other countries price items based on what the market will bear. If the economy is strong and businesses can get away with charging more, they often will. Although PPP doesn’t directly influence prices, it does show global experts how healthy various economies are. One example of the PPP exchange rate in action is something called the Big Mac Index. The Economist has long tracked the price of a Big Mac from one economy to another as a fun way to monitor PPP for each nation. In this sense, the Big Mac has become that “basket of goods” that many economists use to measure PPP. An important part of learning about the PPP exchange rate impact is understanding how exchange rates work. Exchange rates are determined by money dealers who buy and sell local currencies. They set a buying rate, which is the price they’ll pay for foreign currency, as well as a selling rate, which is the rate at which they will sell that currency. Exchange rates not only ensure the dealer recoups his investment, but they also include an extra fee to make sure the dealer makes a profit. The dealer may instead charge a commission or fee to cover that profit and offer the exchange by solely applying a rate to cover the difference in price from one currency to the next. Balance of payment model: This model puts exchange rates at an even level if a nation’s account balance remains steady. If a country has a trade deficit, you’ll see its foreign exchange reserves drop, which will in effect reduce the value of the dollar in that country. This will make its exports cheaper while increasing the cost of its imports. Eventually things will even out, though, and the country’s currency will stabilize. Asset market model: As valuable as the balance of payments model can be, it leaves out the influence of stocks and bonds on a nation’s economy. The asset market model sees asset prices as influenced heavily by the members of that economy who hold assets like products, real estate, stocks and bonds. Thus, with this exchange rate model, supply and demand heavily influence prices. When looking at purchasing power parity and exchange rates, there are two different ways to describe those rates. One is a nominal exchange rate, which is what you normally see when you look up rates. It is an amount determined by how much of Currency A that Currency B can buy. The real exchange rate, on the other hand, looks at the purchasing power of one country’s currency based on the purchasing power of another country’s currency. Whereas the nominal rate isn’t adjusted for fluctuations in price levels, the real exchange rate is. A theory that is slightly similar to PPP is the Law of One Price, which believes that a product should have the same price regardless of where it was sold. Unlike purchasing power parity and exchange rates, though, the Law of One Price holds that when exchange rates are taken out of consideration, prices should be the same. The Law of One Price is only applied to countries with a free market without trade restrictions. If a price is lower in Country A than it is in Country B, theoretically a person could buy the product in Country A and sell it in Country B to make a profit. This sort of profit-making will continue until the two markets equalize. With the Law of One Price, the opportunity for arbitrage is reduced, which can keep economies strong in both countries. One thing regularly influencing purchasing power parity and exchange rates is the gross domestic product. GDP refers to the financial value of the items being produced within a country at a given time. This goes beyond the widgets sold in stores to include the value of the investments, construction costs and trade exports and imports to an economy. In the U.S., the Bureau of Economic Analysis compiles the information necessary to calculate the GDP. The U.S. uses the expenditure approach to monitoring GDP, which is a method that gathers data on the money being spent on goods, services and other items. The information is gathered through surveys like the Annual Survey of Manufacturers and the Housing Market Index. In addition to economic strength, economists like to monitor earnings potential across the globe. The Organisation for Economic Co-operation and Development researches societal inequalities, including income inequality. Through this, the OECD can monitor poverty and even find discrepancies in income between genders. According to the OECD, currently the wealthiest 10 percent of the population earns an income that is approximately nine times greater than the poorest 10 percent across the globe. This is up seven times what it was a quarter of a century ago. Emerging economies like China and India have seen improvements in recent years but still have large populations living in poverty. Another important metric is the international poverty line, which is set by the World Bank. In 2017, the bank announced new benchmarks for consumers across the world. Under the new guidelines, those living on $1.90 per day or less are classified as being in extreme poverty, but there are many others above that line who are still classified as being in poverty. Since purchasing power can vary from one country to the next, the World Bank set separate poverty lines for those living in various areas of the world. Those in lower-middle-income areas such as Egypt and India classify as below the poverty line if they live on $3.20 per day or less. In middle-income nations like Brazil and South Africa, the poverty line is $5.50 per day. Although it can change from one year to the next, it’s important to monitor where wealth is most pronounced across the globe. When a country’s economy is strong, currency buying power increases. Twice each year, the International Monetary Fund ranks countries by their wealth, with the results based on their purchasing power parity per capita. In addition to purchasing power, the IMF also looks at inflation rates and the relative cost of living of each area. After gathering this data, they can then rank various regions of the world based on their GDP per capita. When looking at this list, though, it stands out that countries that rank highest on the list often have relatively low populations when compared to those that fall farther down the list. There are several criticisms of PPP-based exchange rates. One is that it is always tough to compare identical products from one country to another since so many factors can vary. A product may be manufactured at a lower quality in one country, for instance, making it not exactly identical. Some products are also worth more than others in different geographic areas. Another issue with PPP is that consumption can differ from one part of the world to another. If a family in America consumes much more food than a family in India, food prices may rise as a result, leading to the false impression of the economics of both places. Although in-depth surveys can account for these discrepancies, they may not catch all of them. Investopedia: What Is Purchasing Power Parity (PPP)? NPR: What's The Meaning of the World Bank's New Poverty Lines? Stephanie Faris has written about finance for entrepreneurs and marketing firms since 2013. She spent nearly a year as a ghostwriter for a credit card processing service and has ghostwritten about finance for numerous marketing firms and entrepreneurs. Her work has appeared on The Motley Fool, MoneyGeek, Ecommerce Insiders, GoBankingRates, and ThriveBy30. Can I Buy More Stocks From Cash Purchasing Power? Can You Cancel Health Insurance When It Is Not Open Enrollment? What Is a Foreign Exchange Call Option? Is a $3 Million IRA Sufficient for Retirement? What Is Consumer Buying Power? What Happens When Bonds Drop?